Founded in 1756, The New Hampshire Gazette proudly bills itself as “the nation’s oldest newspaper.” With no online advertising whatsoever, the paper has endured the move to digital with little more than a steadfast commitment to its readers and brand identity. It’s a lesson the world’s largest publishers are finally taking to heart. While not quite the nation’s oldest magazine, arguably our most iconic media brand now has a new owner with Marc Benioff’s purchase of TIME from Meredith Corp. While the publisher’s market value ultimately proved to be a fraction of that of digital upstarts, TIME contains a century’s worth of brand equity patiently waiting to be unleashed. For all of the publication’s commercial woes, the TIME 100 and Person of the Year are still showstopper covers. The publisher’s penchant for sparking a national dialogue remains strong as ever, highlighted by the incredibly powerful reactions to last week’s “I’m a Teacher in America” series. 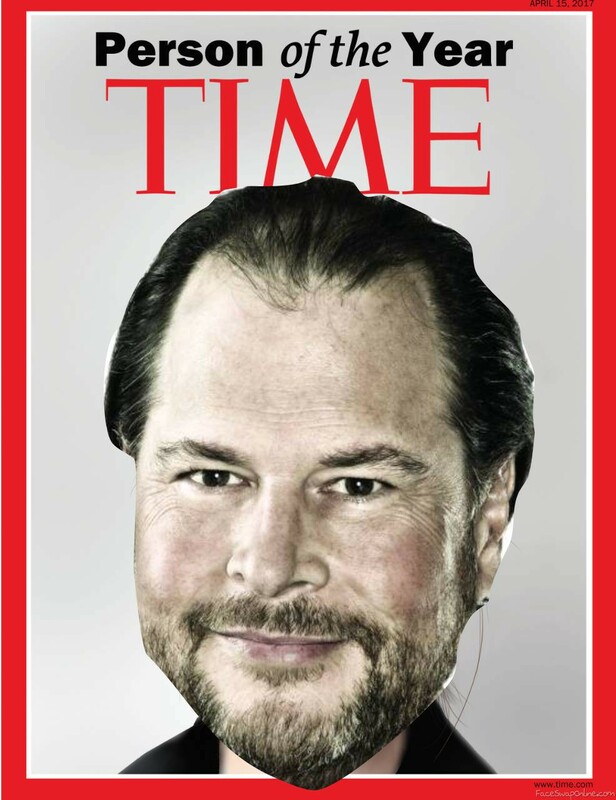 If he can turn TIME’s business model around, Marc Benioff is purchasing a billion dollar company for just $190M. To prosper as a viable business entity in this century, TIME will have to become a subscription business built not around advertising but on recurring paying customers. Luckily, in Benioff, the magazine gets a leader who knows a thing or two about making that model work. September 16, 2018 will prove not just a great day for journalism, but part of a larger story about the resurrection of the media business model. Media conglomerates have rediscovered the power of brand equity, offering the most plausible hope for sustainability since the proliferation of the internet. For more than a decade, everything media companies did to monetize directly correlated with a worse experience for the user. The climax of this story came when most companies eagerly invited services like Outbrain and Taboola to place a giant virus on their websites and seal a quick buck. In addition to proliferating fake news, “around the web” ads told the consumer that the digital manifestations of venerable print products were a cheaper, uglier step-sister. This was digital media’s grand strategic error. As publishers tried to grasp the web, they devalued their brand while running the fool’s errand of trying to rescue a revenue channel where their brand has the least bearing: online advertising. However, in recent years media conglomerates have rediscovered the power of brand equity, offering the most plausible hope for sustainability since the proliferation of the internet. For the first time in the internet era, publishers are pushing towards a model that gives them control of their destiny. Rather than leaving their fate in the hands of a Facebook algorithm update — an algorithm that seems to have anyone but publishers’ best interests at heart — emerging business models at least allow publishers to rise and fall on their own terms. In a world where Facebook and Google capture 70 percent of digital advertising revenue, success depends on a more diversified portfolio that slashes dependence on ads. Business Insider is plotting that course, with a model where ads, licensing, and commerce content each bring in a third of their revenue. Of all emerging revenue streams, commerce content has seen the greatest investment in the last two years. Made popular by the likes of Wirecutter, GQ, and Buzzfeed, commerce content drives 3X more traffic to retailers than Google and hundreds of millions of monthly visits to Amazon. For all of Google’s omnipresence, consumers still have more trust in media brands when it comes to recommending what to buy. There is life after ads. Media brand equity is also manifesting in pretty unique ways by omnichannel retailers. For example, I popped into an H&M last week and in the store sat a display of “pants to wear this fall” endorsed by GQ. Second to my mom — I mean fiance — giving an approving nod, the GQ stamp is probably the single strongest influence on my decision to purchase an article of clothing. For no other reason, I’ve moved up in the world and now wear pink khakis. Conde Nast’s Allure has used their brand authority to dive headfirst into personalized beauty by launching a beauty box product. While subscription eCommerce has notoriously difficult unit economics, Allure has a unique advantage not enjoyed by the likes of BirchBox, Sephora, and Macy’s. The brand equity of the Allure Best of Beauty stamp provides extra gravitas to the box’s curation, and the feedback loop allows for constant optimization of editorial content. Looking forward, the future of media most squarely belongs to brands like Allure and GQ that can take it one step further and succeed at becoming an extension of self. To understand this phenomenon, look no further than The Information. Launched in 2014, The Information breaks high-profile news in technology and provides first-rate analysis, for which it charges all readers $399/year. Most amazingly, The Information’s comments section actually fulfills the intended purpose of adding meaningful dialogue to stories with unique perspectives from industry insiders sans even a drop of vitriol. Arthur Miller once described a good newspaper as “a nation talking to itself” and The Information delivers on this purpose, at least within the niche community it serves. But in addition to great reporting, why else has The Information succeeded? Because for the Silicon Valley intelligentsia, reading the publication has become the intellectual equivalent of wearing Allbirds. The Information has successfully crossed the threshold from media to lifestyle brand. In the same vein, any self-respecting Upper East side socialite has three blown up New Yorker covers in her home and the Washington Post “democracy dies in darkness” sweater is essentially the uniform of the yuppie Trump resistance. Naturally, even your baby can rock the look that’s fit to print. It’s important to temper excitement and acknowledge that publishers’ pivot to subscriptions and commerce is still a long way from the glory days of print advertising that TIME was built on. Short an ambitious senator hell-bent on taking down big tech, there is no noble steed coming to slay the three-headed Google, Facebook, and Amazon dragon. But very quietly, subscription revenue accounts for 60 percent of revenue at the New York Times. There is life after ads. In Hemingway’s The Sun Also Rises, the protagonist is asked how he went broke and responds: “Two ways. Gradually, then suddenly.” The same dynamic defines the plight of the advertising-supported media complex. Fifteen years after CBS accused Google of “ruining” the magic, disruption of media is occurring at a faster pace than ever. But despite the tumult, the enduring power of the media brand provides hope that a model will arise to sustain an independent and profitable fourth estate.